Ashley D. MacKenzie is a high school teacher and writer from British Columbia, Canada. Traveling – or walking, for that matter – in a straight line from Point A to Point B has never been her forté, but zigzags are more interesting than lines, anyway. Ashley D. MacKenzie was born and raised in Surrey, British Columbia, Canada. Following high school, she drove her 1971 VW bus to the University of British Columbia – which was confusing to many since it was 2001. After studying English Literature and French, Ashley clutched her newly printed B.A. and got to work as a travel agent – because the two were clearly related. 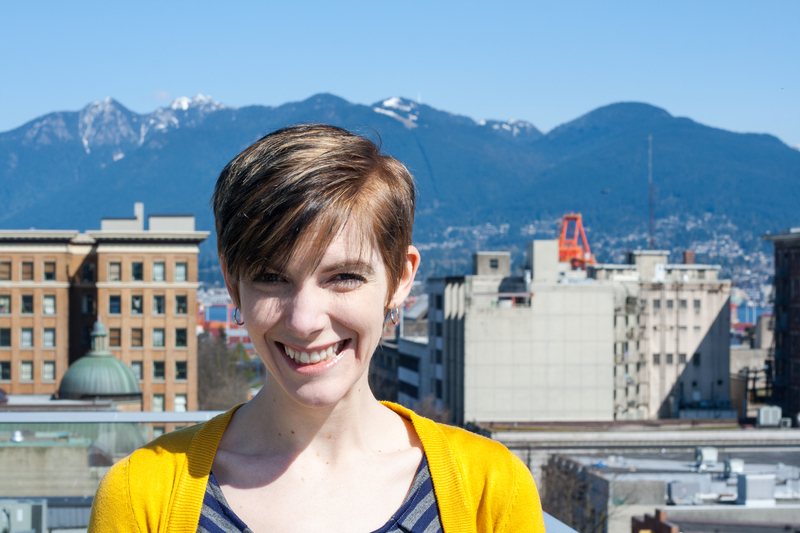 Ashley D. MacKenzie’s love of itinerary planning (and hatred of asking people for money) led to her taking on the role of copywriter, where she spent her days extolling the wonders of the world while never leaving her desk; definitely a little known form of torture. Working in travel wasn’t for her. So she went to work in orthopedics. Because reading classic literature had clearly prepared her for the world of joints and feet. She may as well have laminated her degree and used it as a placemat; at least she’d be getting some use out of it then. Fearing that her brain was starting to atrophy, and feeling as though she risked having brain goo leak out of her ears at any moment, Ashley returned to university and earned her B.Ed. in secondary education. Stifled for so many years in corporate cubicals, Ashley is giving her creativity free reign in the classroom, in her writing, and in life. She’s writing stories in words and in adventures. And she likes company. Ashley welcomes contact by e-mail (mackenzie.ashley.d at gmail.com) or Twitter (@AshDMacKenzie).